Chess4Less might not be the biggest name in the chess business but they offer a huge range of educational products to help you improve your game. 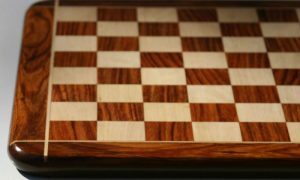 Owning an advanced eboard or beautiful wooden chess set can be great, but they’re not much use if you can’t use them to their full potential, and that’s where Chess4Less come in. 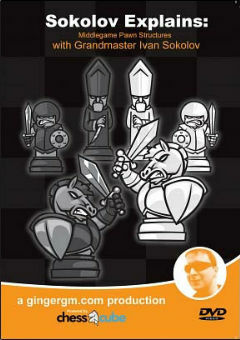 Chess4Less.com focus on educational products – from books to DVDs – and they cater for every level of chess player. Are you just starting to learn the game? No problem, they have a section dedicated to products suitable for beginners. 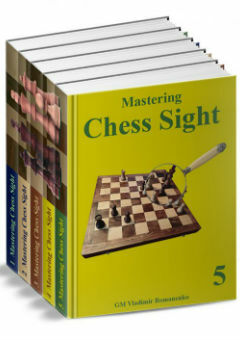 Chess4Less also have software, books and DVDs that cater to the more experienced player that is looking to refine certain aspects of their game. 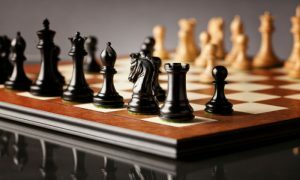 Chess4Less certainly aren’t the biggest name in the chess world, but their online store is easy to navigate and offers a good variety of chess products. 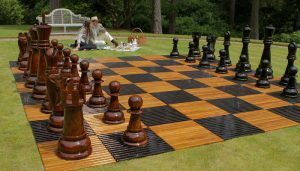 Chess4Less provide high-quality chess equipment to enthusiasts around the world, with a focus on chess education. 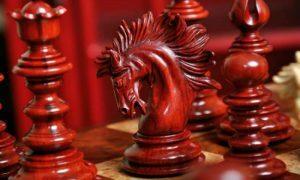 While they’re relatively small compared to other online chess stores, they have a loyal following, and an average rating of 4.2 out of 5 on their Facebook page. 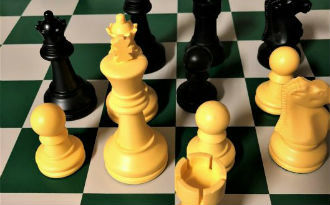 Chess4Less operate a simple and effective online store. The layout is basic – but that’s not a criticism. Rather than being bombarded by dozens of products or categories, Chess4Less highlight just a few on the homepage, which makes navigation quick and easy. Amazon’s homepage is a cluttered mess compared to Chess4Less. It would be nice to see dropdown menus for the product categories at the top of the website, but once you click on one of those categories the sub-categories are listed clearly at the top of the page. As well as the category navigation at the top of the page, Chess4Less also include a more in-depth category menu down the left-hand side, once you navigate away from the homepage. 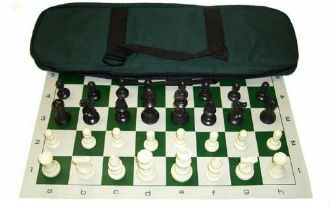 Chess4Less operate a simple and effective online store. While the top menu focuses mostly on product types (books, equipment, DVDs) the left-hand menu is much more varied, listing Beginners, Schools and Children, Tournament Equipment, and Price Drops. It’s not a short list, but it makes it easy to find what you’re after. This is also where you’ll find all the sale categories, handily located at the top of the menu. There is the option to ‘quick view’ a product from the category page. The quick view gives you the option to add the item to your basket, without navigating away from the current category page, but unfortunately doesn’t include any information about the product itself. If you want more information, you’ll have to go to the product page. The descriptions are generally short, but manage to pack in a lot of information about the item. You can tell the staff at Chess4Less really know their stuff. In fact, Chess4Less pride themselves on the fact that all their employees play chess, some to an international level. Chess4Less focus more on chess education than products such as chess boards, and chess pieces, although they sell these items as well. As such, Chess4Less have a huge selection of chess education products to choose from – they have the largest online selection of chess books, DVDs and software. Chess4Less’s book selection is nothing short of impressive – they currently have over 1100 educational books for sale, so we’re sure you’ll be able to find something to suit your level of experience and particular requirements. Chess4Less are proud to offer the largest selection of chess DVDs anywhere on the internet, and their extensive product range includes DVDs from chess grandmasters such as Susan Polgar and Simon Williams, otherwise known as Ginger GM. Their huge range of DVDs cater for the absolute beginner and more experienced chess players looking to refine their game. Chess4Less aren’t just satisfied with having the largest selection of chess DVDs, they also want to have the cheapest, and if you find a cheaper price on a competitor website, they’ll match it! 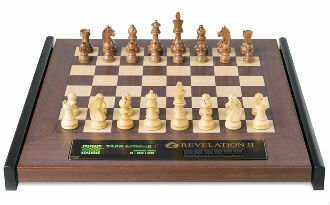 Despite their focus on educational products, Chess4Less also stock boards, clocks and computers from DGT – the leading company in the world when it comes to electronic chess equipment. 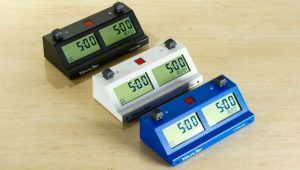 Chess4Less’s range of clocks starts from as little as $26.95, going all the way up to the flagship DGT Pi chess computer, priced at $289.95. Chess4Less also stock a wide range of DGT electronic chessboards, from the $895 USB eboard, to the $3,995 Revelation II range of boards. Chess4Less have a number of pages on their website dedicated to different sales and discounts. These sale categories are split into Cyber Sales, Price Drop, Clearance and Software Blow Out. 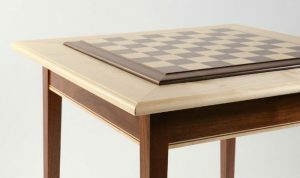 The Cyber Sales section is by far the most expansive, with over 90 pages of a wide variety of products featured, from smart chess boards to bridge bidding boxes. 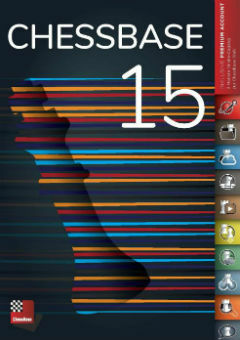 The Clearance and Price Drop sections currently feature over 60 products in total, focusing mostly on education chess books – which is what Chess4Less specialize in. If you prefer to do your learning at a computer, Chess4Less’s Software Blow Out section has a huge selection of educational software for you to choose from, ranging in price from $15 all the way up to $222. Chess4Less offer a simple communication form if you need to get in contact with them. Chess4Less stress however that if you need to contact them with regards to an order, it is best to give them a call. The FAQ page at Chess4Less.com is very basic, so you may find you’ll have to contact the customer services team more often than on some other, larger websites. Chess4Less have a fulfillment center in Florida, and one in London, England, which means they serve customers all around the globe. They send all their products via FedEx, or USPS. 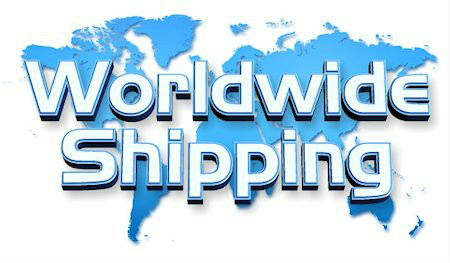 Orders can be sent Next Day FedEx or 2nd Day FedEx, as long as the order is place before 2pm EST. Other orders are sent within 24-48 hours, but orders placed on a weekend will not be sent until the following Monday. When it comes to payment, Chess4Less accept payment from American Express, Visa, MasterCard and Discover Cards as well as PayPal. If you prefer not to input your card details, Chess4Less will also accept your order by phone. Chess4Less operate a 30 day return policy from the day you placed the order. Shipping costs to return your product will not be covered by Chess4Less, but once they have received the returned product the amount will either be refunded to your credit card or you can opt to receive store credit. If your product arrives damaged you can call or email their customer services team, who will send you a replacement. 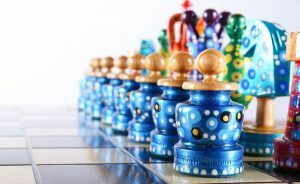 Chess4Less.com is almost unique in that it focuses almost exclusively on chess educational products, and it’s a focus that pays off. The sheer breadth of products available at Chess4Less is incredibly impressive. The website itself is very clean and clutter-free, which makes it easy to navigate and find what you’re looking for, although it would be nice to see the beginner product category feature in a more prominent location. New users may be put off if they can’t find the beginner section straight away. Because Chess4Less have two fulfillment centers – located in the US and Europe – they’re able to get your product to you quickly, no matter where you are in the world.